Created by reflexologists for reflexologists, this Equilibrio reflexologists’ retreat brings reflexologists together in a beautiful and tranquil setting. A unique opportunity to immerse yourself in your chosen healing art, recharge your batteries and inspire your mind. We will focus on improving function and managing pain, diving into a holistic approach to this topic, with the work of our special guest Lynne Booth being supported by workshops on herbs and nutrition. You will learn many powerful VRT techniques that are suitable for all ages and conditions. Learn simple moves to help ease pain and increase mobility including a sports warm-up protocol and techniques for working with children and older people, including dementia and palliative care. These techniques can be immediately integrated into a reflexologist’s repertoire and may be applied in the seated, standing and reclining positions using both feet and hands. Combine all this with delicious and nutritious food, daily yoga, two free complimentary therapies and plenty of time to relax and share treatments with other guests and you can see why a week at Equilibrio is the perfect combination for hardworking and caring professionals! Our price for this retreat is £795. This price includes 6 nights accommodation in a single en suite room, or a twin room with private sun terrace, three meals a day, (except for lazy day, more info below) daily yoga & meditation classes, four workshop sessions, treatment exchange sessions, 2 complimentary holistic treatments and full use of the centre facilities including the outdoor pool. Workshops given by Lynne Booth and Equilibrios nutritionalist and herbalist. Two treatments from experienced Equilibrio bodywork practitioners are included in your retreat experience. Equilibrio team practitioners will be on hand throughout the week to share their knowledge with you in a relaxed and informal way. There will also be time and space in this session to team up with one of the other participants for a treatment swap and more in depth sharing should you chose to do so. Whether you are a newly qualified or an experienced practitioner, learning from and sharing knowledge with peers can be interesting and rewarding. Experiencing each others techniques and discussing methods of treatment also allows us the opportunity to look at things in a different way. It can be a great opportunity to build confidence in our own skills and empower us as therapists, especially if we are working in practice on our own or returning to bodywork after a break. Sunday morning will be free for you to explore the wider area, go hiking or horse-riding, visit the local town or the mountain villages. Your host Anna will be available to organise any trips you would like to take and picnics if required. Alternatively you can spend the time further enjoying the retreat facilities. There are many interesting books in the library which you can borrow during your stay. Evenings are free time for moonlight swimming, star gazing or just hanging out. Wednesday is our official ‘lazy day’, with no morning workshop a later start to yoga and meditation. A delicious brunch is then provided to set you on your way to explore the local area and culture. Alternatively you can use this time to take part in more treatment swaps or simply relax and enjoy the space and tranquility of the retreat centre. On Wednesday evening Anna Jane and Lynne will stroll down to the local restaurant for our evening meal and you are most welcome to join us. BA(Hons), BRCP, IIR, ART(regd)Hons, FAoR. 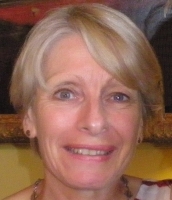 Member of the Association of Reflexologists, International Institute of Reflexology, British Register of Complementary Practitioners, Member of the Complementary Therapist’s Association and awarded two Honorary Fellowships from Advanced Reflexology Techniques (ART) 1998 and the Association of Reflexologists (AoR) 2008. Lynne is the author of the book Vertical Reflexology for hands. Lynne discovered Vertical Reflexology Technique (VRT) while working on mobility problems associated with older people. She has subsequently developed and extended this technique to cover all age groups and most conditions. Lynne has run a reflexology clinic at the St Monica Trust Bristol, a 400-person residential complex for older people, for 18 years. For the past 10 years she also worked with a professional Championship football team. Lynne will be offering 2 workshops in her speciality field of mobility Reflexology. Lynne has also developed VRT Nail-working treatments and mapped out reflexes on a grid system on the nails. These methods form part of the VRT Hand and Nail-Working work shop. 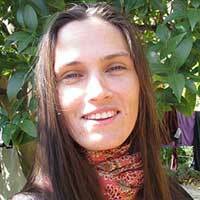 Anna is an experienced retreat host and facilitator. A self-employed reflexologist, she trained in Thai Reflexology Massage in Krabi, South Thailand and later in Reflexology at the London School of Massage. She has also undertaken training in Advanced Reflexology Technique (ART) and is a member of the association of Reflexologists (MAR). 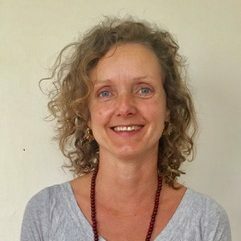 She is currently working as a reflexologist and host at various retreats and events and as co-administrator of Equilbrio retreats. Anna will be your host for the retreat making sure that your whole experience is as rewarding as it can possibly be. Jane trained at the Oxford School of Reflexology. 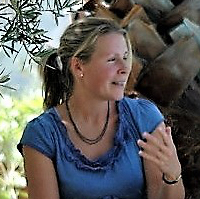 Since qualifying she has continued her professional development by attending courses in Advanced Reflexology Techniques, Vertical Reflex Therapy (VRT), Clinical Reflexology, Reflexology in Pregnancy, Caring for pregnant clients, Enhancing Fertility and Maternity Reflexology, Baby reflex and Palliative and Supportive Care. 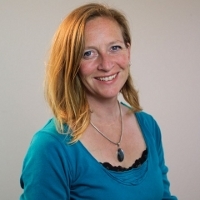 She previously worked for 8 years at a Holistic Health Centre in Cheltenham and has a broad knowledge of complementary therapies and experience of co treating with professionals of other disciplines. She now lives in Manchester where she works as a self employed reflexologist. She also works in Spain as part of the Equilibrio team. 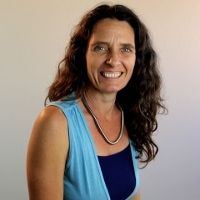 She will be coordinating the reflexology exchanges and helping participants to get the most from the retreat in terms of Self-Directed Learning. In order to increase or improve function it is very interesting to look at the different tissue states in the body and investigate how herbal medicines can interact to modify the terrain in these tissue states. We will look at types of pain and discuss relevant herbal remedies for pain management. These remedies fall into various categories which will be applicable to different types of pain origin. For example, the complexity of chronic pain requires a multidimensional approach, acute pain is a different story. As usual, there will practical elements and time for questions! 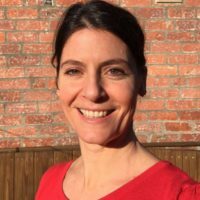 Becs has been working as a nutritional therapist since 2010 with a range of clients from all backgrounds. She loves her work and is still often amazed at the results she has had by making small and significant changes in diet and lifestyle. After her initial training, Becs has focused her attention and study on digestion and has found that by healing the digestive system, a person’s health can flourish in other areas of the body. Becs has worked with a number of families with children with autism, as well as adults with severe digestive issues. By using a specific protocol, inflammation can be removed from the digestive system to allow healing to take place. Most recently Becs has been diving into Functional Medicine – from a nutritional perspective. This is about finding the root cause of disease through in depth case taking and using functional testing to see inflammatory, digestive or hormonal markers. Becs aims to help people to understand more about their bodies and the importance of real food and traditional methods of eating for long term health and healing. For many people eating is just something we do every day to survive, there isn’t that much thought that goes into it. Food is a means of energy that we need to function – but how important is food when it comes down to our health? Our modern lifestyles have a lot of answer for when it comes to what we eat. So much has changed since industrialisation that at times, our food is no longer recognised by our body! What you eat on a daily basis can affect every system in our body – including our inflammatory response… No matter where the inflammation is, it can be helped through what you eat and drink. In this workshop we will dive deep into the anti-inflammatory diet. We will be looking at food groups, macro and micro nutrients as well as the importance of the colour of food. This will help to deepen your knowledge of what is required by our body to create a calm environment and heal from the inside out! I will offer you a range of supplements that can support this process without over burdening the digestive system – which is often at the centre of the problem.